Lionel will be playing Tangos and Moments Musicaux from the CD, together with a colourful and varied programme of popular classics, including music by Bach and Schumann, and Chopin’s Waltz in A flat Op.64 No.3, Nocturne in C sharp minor, Op. posth., and Barcarolle in F sharp Op.60. Lionel will be signing copies of the CD after the performance. 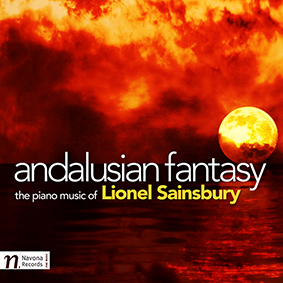 SUNLIGHT & STORMS, composer and pianist Lionel Sainsbury’s debut solo release on Navona Records, illustrates emotions from the peaceful to the tempestuous, and many more besides. A retrospective of the composer’s piano music, spanning almost 20 years of his career, the album ranges from tangos to toccatas, character pieces to ostinatos. 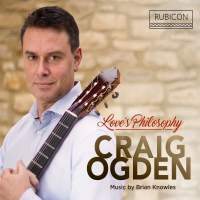 Two large-scale collections, Five Tangos and Ten Moments Musicaux, portray several dimensions of Sainsbury’s compositional style, encompassing lively dance numbers, haunting and dark passages, jazzy, Gershwinesque themes, and gently swaying rhythms. Alongside these are a virtuoso Sea Storm, and a hypnotic Incantation. Two Cuban Dances evoke the rhythmic airs of the Caribbean; the second has been performed worldwide in the composer’s own arrangement by violinist Tasmin Little. An introspective Meditation provides symmetry and resolution to the album. Throughout, Sainsbury’s dexterity and control on the piano admirably conveys the sensual textures.